What books have I been drooling over lately? Saw a discussion of this on my Shelf Awareness newsletter some time last week or so. And then this weekend there was a review in the Chicago Tribune as well. A coming-of-age novel (a cliche phrase, no?) set in the 1970’s, originally published in 2003 and since re-edited. 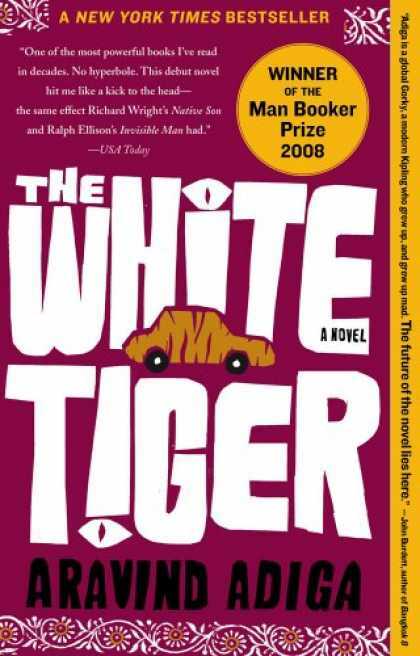 The White Tiger by Aravind Adiga has been out for a while, but it caught my eye again recently while browsing at Borders. And I was also browsing 1001 Books You Must Read Before You Die and it was one of the more recent choices! Books I Done Read has provided another exceptional review, inspiring me to pick up The Sparrow by Mary Doria Russell. In 2019, earthlings discover extraterrestrial life. And in 2060, those left tell how it all went wrong. This entry was posted in Caught My Eye, Peaked My Interest. Bookmark the permalink. I like the sound of that last one. Remind me to read it when you’re done.